Hello! 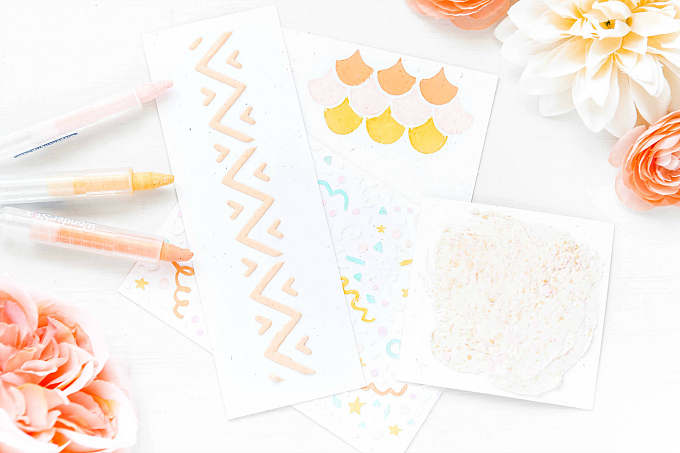 Today I'm sharing a couple of projects that infuse soft layers and lots of fussy cutting. 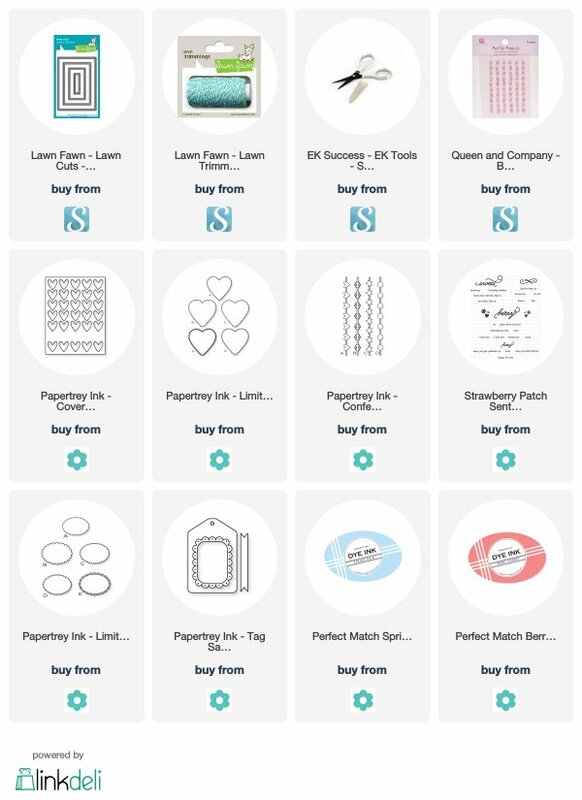 Years back, when my first adventures into papercrafting began, I loved pretty patterned paper. Fast forward a few years, and boy how far we've come! It has become easier than ever to skim over those dusty old scissors and piles of intricate paper. And who doesn't love squeezing in a bit more crafty time with the innovation and efficiency of nifty tools? However, I still find that from time to time, I crave that old way of paper crafting. I miss the intense focus and sense of accomplishment when cutting out a fussy detail, gratifyingly reaching the end point of an intricate cut. I also adore the way hand-cut details look. So imperfect, and so easily customized to any project. And while it may be a disappearing act, today I've decided to step back in time and dedicate a post to something I rarely do anymore, but still immensely appreciate. For this sweet tag, I had help in the die-cutting department on a few fronts, but the remaining details are, indeed, hand cut. I used PTI's Tag Sale #10 die for the tag base, and covered it with soft vellum polka dots. At the top, I tied a sparkly ribbon, and layered a scalloped oval frame and a pink heart over the polka dotted background. For the scalloped oval border, I used the Limitless Layers: Ovals collection from Papertrey Ink, to create a border by cutting the scalloped oval first, and then cutting the insert with the simple oval shape. 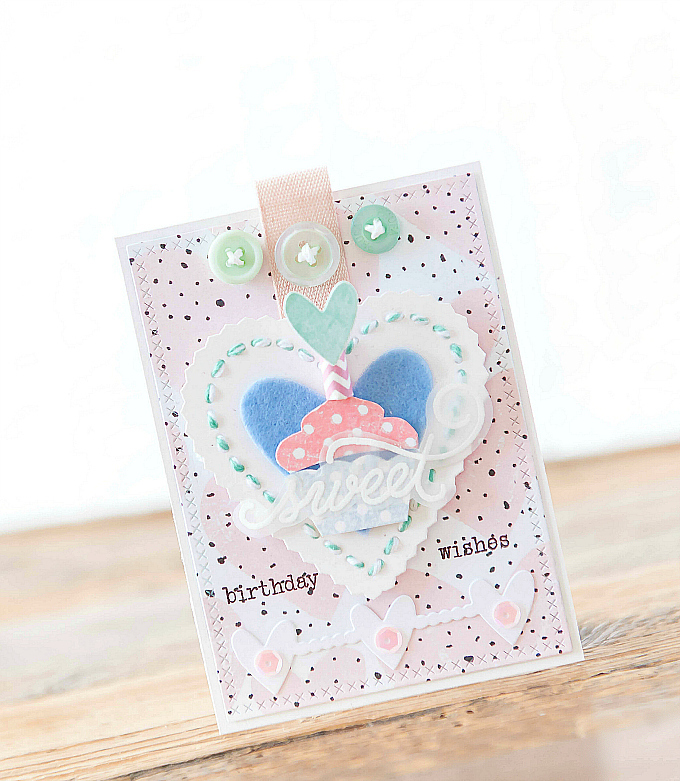 For the wee heart, I used PTI's Cover Plate die and some pink patterned paper. And this where the fun begins! 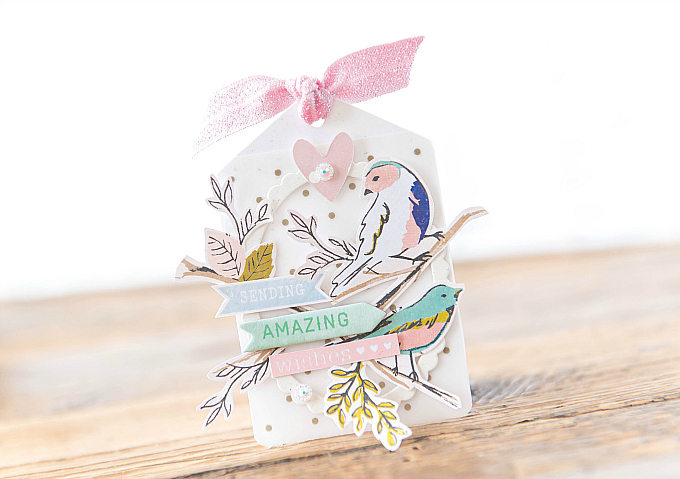 I used my most favoritest, awesomest scissors to cut these sweet birds and branches out of a really beautiful patterned paper. I often found that crafty friends were not enjoying fussy cutting, and feeling as though it was really hard on their hands. But I find that having good scissors can make or break fussy cutting. I really grew quite attached to my little snips because they are so teeny tiny, easy to hold and maneuver, and always stay sharp. I found that they gave my cuts a cleaner look and just made the process a whole lot easier. 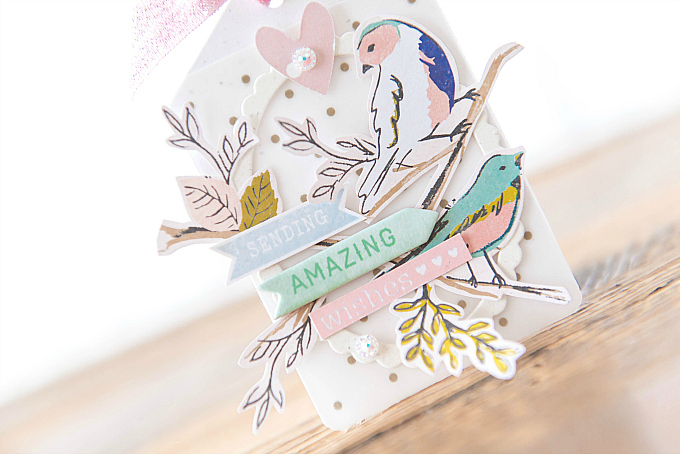 After cutting little birdies, I arranged them along the oval border, and added a few more fussy cut details in the form of banners and sentiments (and a bit of chipboard). I added a couple of my new favorite rhinestones to add a touch of sparkle. 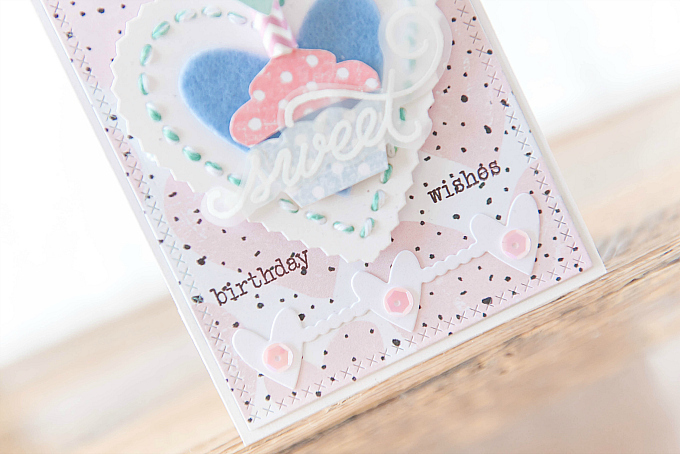 For this next card, I used a pretty speckled heart paper, die cut with a sitch border. I don't happen to know the name of these dies, but these Lawn Fawn Stitched Rectangle Stackable dies are very similar. 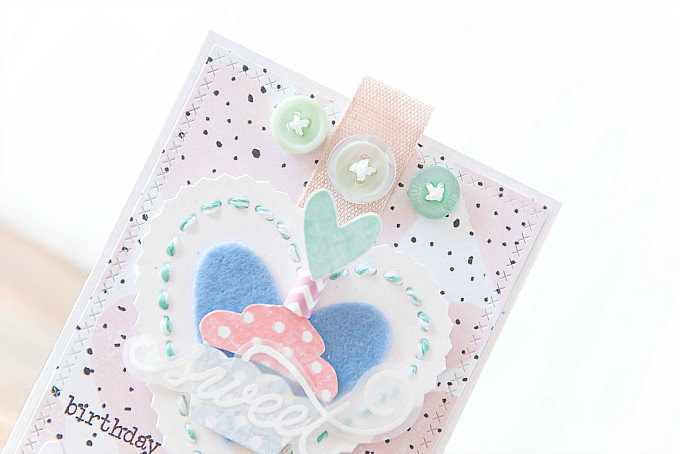 At the top of this teeny card, I added some twill tape, a few buttons, and then a heart cut from PTI's Limitless Layers: Hearts, stitched with mint baker's twine. I layered another heart, cut out of felt, over the larger heart, and added some fussy cut details. 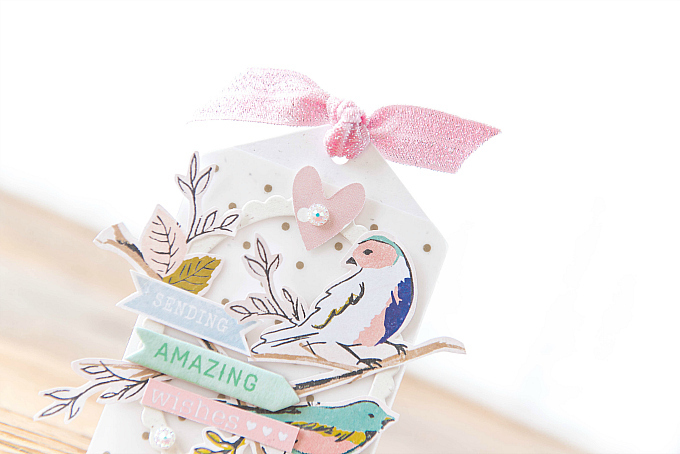 I added a stamped sentiment below, along with a diecut heart Confetti Garland. I hope this post inspires you to to pull out your scissors and play! Beautiful as always Ivana! Love your cards for today. I don't recall if I've ever fussy cut my patterned papers, but I do a lot of images that I don't have dies for! Your tag is ever so pretty Ivana. It's soft and wispy too. I like the stitched heart on your card and the sweet cupcake. A delightful pari! Both of these are adorable and beautifully layered. Fussy cutting is seldom done here because dies make it too easy, but you do it so well one can’t tell.